Forever 21, of course, is filled with crop tops these days. I like their range of crop, as not everyone wants the sports bra version but still wants to bare some belly. Best is when you can wear unicorns and kittens on your crop top. 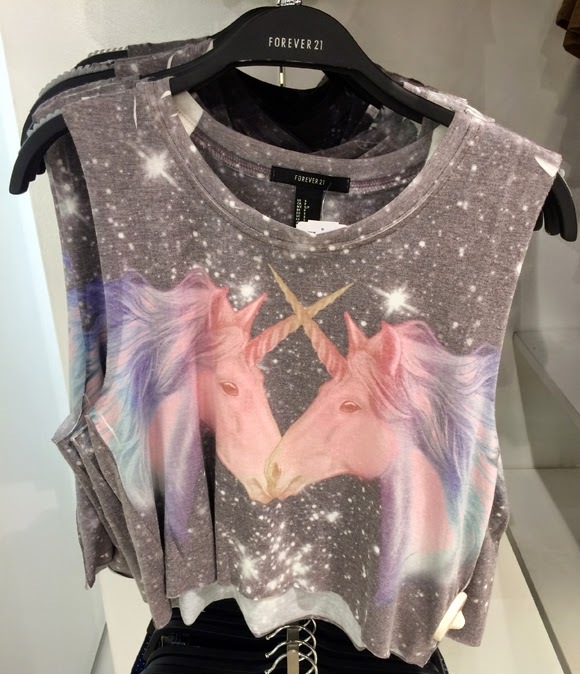 Galaxy unicorn muscle t-shirt. I know, it's got it all. 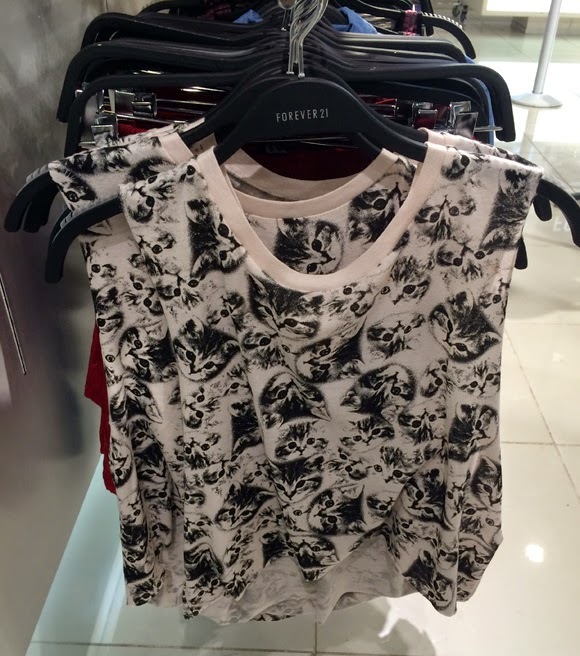 Kitty print cropped muscle t-shirt. Both of these shirts made my 4yo go crazy. A hit with multiple generations. Here's how I wear my crop top these days: layered over a non-crop top. But I am no crop-top prude: PLEASE, if you so desire, WEAR CROP TOPS EVERY DAY. Take advantage of your crop-top years. Also see: short-short years. You will feel enormous satisfaction when, upon seeing adorable examples of crop tops walking down the street, your partner says "You always wore those when I met you." Yes, that means you grabbed your crop top years by the horns and wrestled them to the ground. Now go to Forever 21 on 34th Street and stock up for some crop top carpe diem.